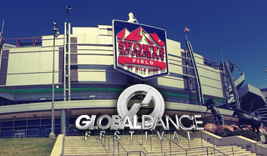 Global Dance Festival 2018 on July 20-21, 2018 at Sports Authority Field at Mile High! Global Dance Festival Colorado is a huge multi-day event that was known for taking place at the iconic Red Rocks Amphitheater. While unfortunately sound restrictions and declining attendance forced the festival to move to a local stadium parking lot. The festival is releasing their line up in pieces. Where can I find Global Dance Festival tickets online? The best place to buy Global Dance Festival tickets online is at buyTickets which has amazing deals on even the most hard-to-find tickets, thanks to our partnership with ticket brokers across the country. If you can’t find the Global tickets you’re looking for here, they simply can’t be found. Are there promo codes available for Global Dance tickets? Yes! buyTickets always offers promo codes on all of our events, so that our customers can save even more on our already great prices. You can can use Promo Password EDM to save on Global Dance Festival Tickets. Enter it at checkout by clicking the “Have a gift card or promo code?” button below the area for your credit card information and entering it into the field. Can I buy Global Dance Festival tickets by phone? Absolutely. Call us at 1-855-BUYTICKETS or at 1-855-289-8425 to order by phone. If you’d like to enter a promo code during your purchase, don’t worry. Our phone staff can apply it for you. I heard Tier 1 Global Dance Festival tickets are sold out. What can I do? You may be able to buy sold out Tier 1 Global Dance Tickets at buyTickets.com. That’s because are tickets come from a network of trusted ticket resellers, so even if the venue is sold out there may be more for fans like you who care to look. Take a look at our selection above to find out for sure. How much are Global Dance Festival tickets? That depends on the date, the venue, the current market on tickets, and more variables too numerous to go into here. The only way to know how much Global Dance Tickets cost for certain is to find the Date you’re interested in from the list above and take a look at the tickets currently on sale. Will Global Dance Festival tickets be cheaper on the day of the event? What if I have more questions about Global Dance Festival tickets?